REMOVES earwax build-up: Audiclean Earwax Remover is a safe and easy solution to the common problem of blocked ears and wax plugs. 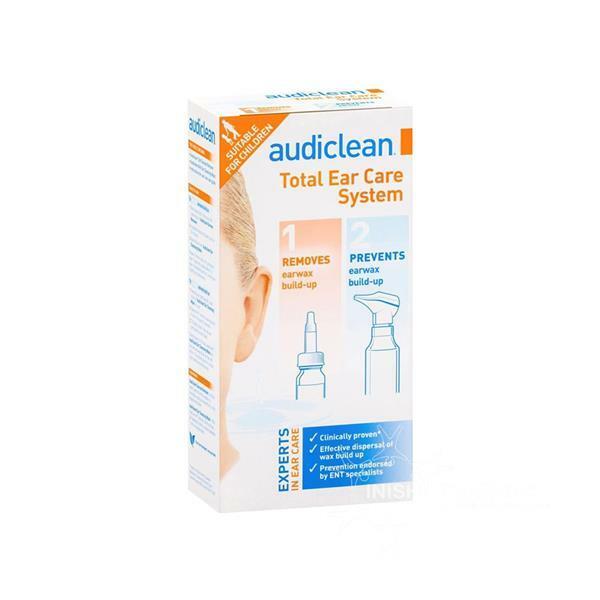 PREVENTS earwax build-up: Audiclean Ear Cleansing Wash uses 100% natural Sea SerumT to prevent future earwax build-up. The AUDICLEAN nozzle and bottle have been specially designed to the shape of the ear to safely and comfortably deliver its gentle, naturally cleansing wash. The soft, circular spray delivers AUDICLEAN to the ear while avoiding any direct contact with the sensitive eardrum.